Without a second thought, I can clearly mention that MS Outlook is the world’s best top-rated email client by Microsoft Corporation. All the personal information of an Outlook mailbox is stored in PST (Personal Storage Table) and OST (Offline Storage Table) files of MS Outlook. The data stored in Outlook files includes everything – emails, attachments, contacts, calendar, notes, tasks, journals, etc. Many business users prefer to protect their crucial data by setting PST passwords. There are millions of users today who are using password protected PST files to protect their crucial data. So, it is well understood that at some point in time someone will surely forget these long-tailed unique passwords. Unfortunately, that will be a time when you require the data immediately and you no longer remember the password. This is when the role of password retrieval come into the picture. We have the best software that will help in recovery and viewing the Outlook PST password. 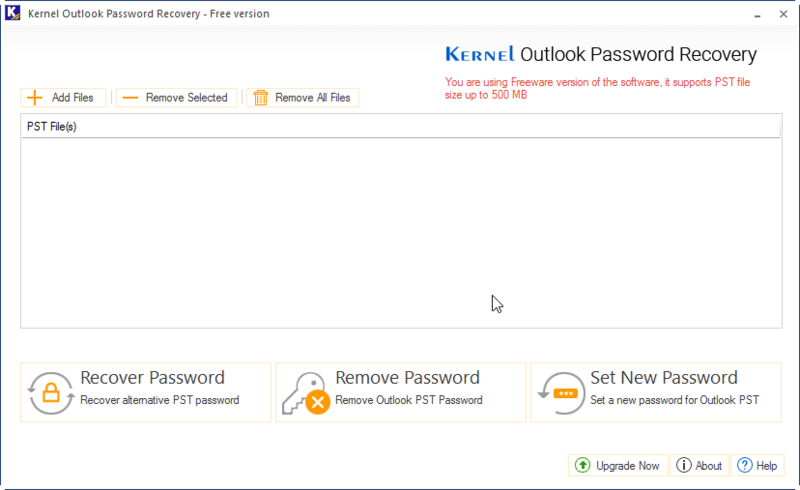 The Outlook Password Recovery software can view Outlook PST password for PST file size up to 500 MB. 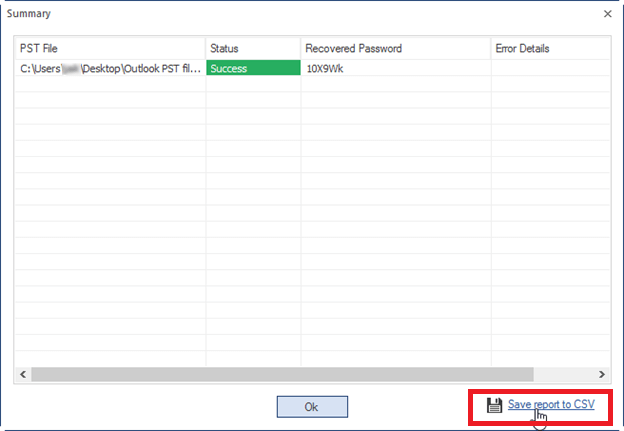 Simply follow the step-by-step process to view Outlook Password and get access to PST file data. 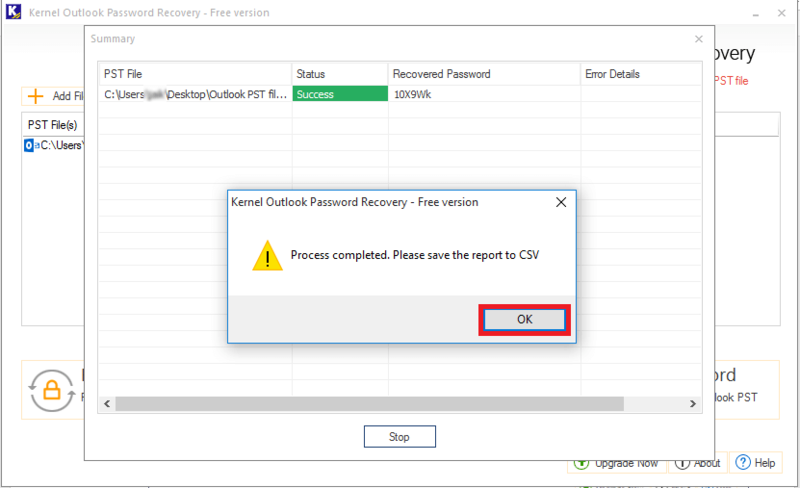 Follow the steps and view the Outlook password after recovery. 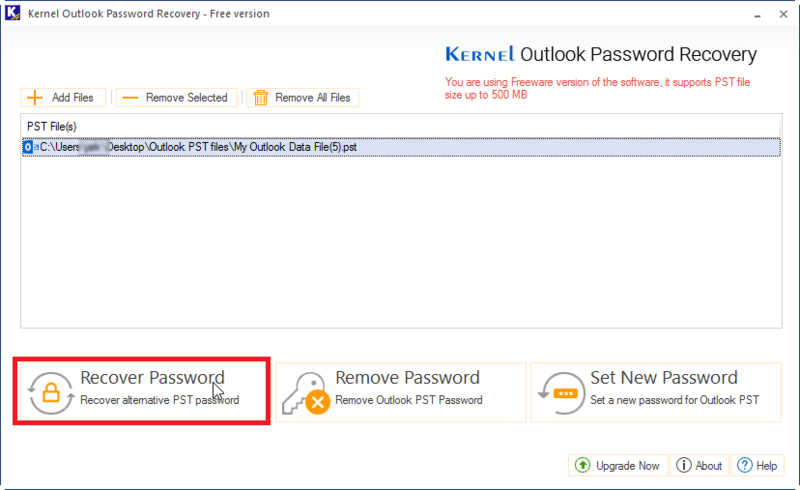 Step 2: To recover and view the PST file password, select PST file with Add Files button and choose Recover Password option as shown. Step 3: The tool starts the scanning of PST file and recovers the password and display it in the tool environment. Click Ok and move ahead. Step 4: You can save the recovery report in the form of CSV file for future use. The software is recommended by professional data recovery experts for recovery of forgot Outlook PST password. It can quickly view, unlock, remove and set a new password of PST files. It is available free of cost with no special requirements and configurations. Simply, you can download and install the software and access your crucial data saved in a PST file.